Introducing October’s first chalkboard, ‘Big Idea’, sign-written by Liz Tregaskis. Big Idea is used to promote our knowledge of the Research and Development grants and credits available from HMRC. 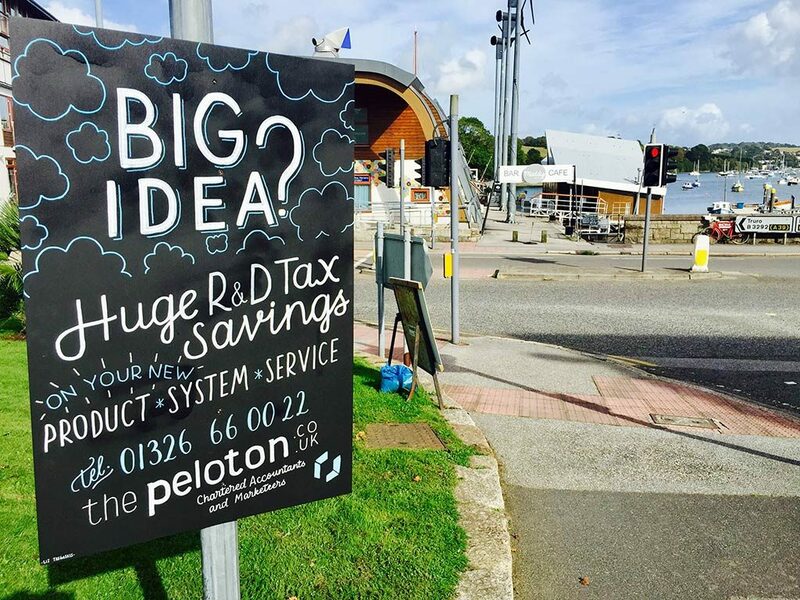 ‘Big Idea’ will be making its way around Penryn, so keep your eyes peeled.